It didn’t take 15 years for Cotton Mather’s Austin-based main man, Robert Harrison to write the 64 songs (64 songs!) that comprise his latest musical vision, one song for each hexagram (or reading) of the I Ching, that’s actually the amount of time that has passed since the last full-length album of new Cotton Mather songs was released. With so much new material on deck, it seems like Harrison is making up the difference. Half a dozen tracks from this treasure trove of new tunes have already been posted one-by-one in “real time and real weather” as Harrison describes this creative process, and now the first of an eventual four albums that will ultimately contain much of the entire song cycle, has been announced. Arriving on July 29th, the eleven-track "Death of The Cool" contains another nine of Harrison’s pure pop meditations on Chinese philosophy, along with the two currently available tracks that initially announced the project. 15 songs deep into revealing such an ambitious undertaking to the public, Harrison reflects, “These are my reactions in song to illuminations from the I Ching about life unfolding. Some of the songs directly reference the text and others use the readings as a starting point. Until I started this project, it had never before occurred to me to seek counsel with respect to songwriting, but after I turned to the I Ching for artistic guidance on several occasions with nice results, I thought ‘Why not go for the whole cycle?’” Harrison’s commentaries about each of the songs can be found at the website for the project, ichingsongs.com. For anyone thinking that 64 songs written around a single theme can’t possibly maintain a standard of quality, welcome to the unlikely world of Cotton Mather. 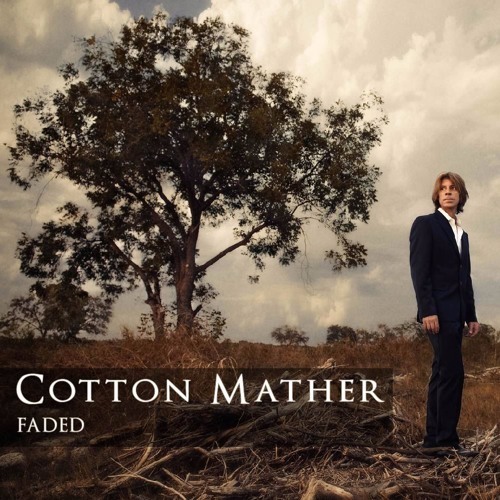 Founded by Robert Harrison in Austin in the early 1990’s, Cotton Mather released its debut album Cotton Is King in 1994, but it was the follow-up album "Kontiki" that drew praise from critics and rock-stars alike. Uncut Magazine gave "Kontiki" five stars calling the record “music to smile yourself to death to.” Mojo said the songs were “brought to life with daring vitality,” and in its own five-star review, The Guardian called "Kontiki" “a bewildering, dizzy thrill.” On our shores, Britt Daniel of Spoon was just one artist to say “'Kontiki' gave me something to shoot for.” In the years since Cotton Mather went on hiatus, Harrison stayed busy producing other artists, in addition to forming and fronting a new band, Future Clouds and Radar which was acknowledged for its “sprawling orchestral pop” by the New Yorker and named “Debut Artist of The Year” by Harp Magazine. "Death of The Cool," the first or four anticipated albums comprising Robert Harrison and Cotton Mather’s endeavor to write and record 64 songs for each of the I Ching’s 64 hexagrams is set for release on July 29th, 2016. Additional non-album tracks can be heard now via ichingsongs.com with additional non-album tracks forthcoming.